The Media and the world that surrounds us are contributing to the destruction of the family. But there is always room for hope regarding the problem of marriages breaking up. This book gives the cure and salvation for you and your family presenting some of the powerful weapons to be used against the spiritual forces of evil, which destroy your life and that of your family. 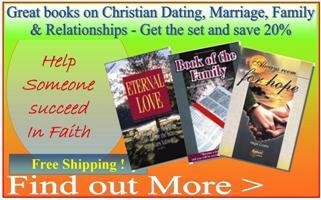 Treat someone you love with books that can help them succeed with their relationships. Buy the set and get 20% off the normal prices. 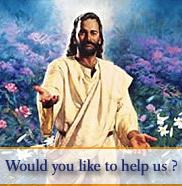 Presents the answer that God offers to problems of dating, marriage and family. You will learn the road that leads to peace, love, joy, forgiveness in the family and all relationships. Written for you who loves, cares, works and suffers for your happiness and that of your family. God is now giving you the opportuniy of salvation, which may never happen again like this. A powerful book of prayers, which when prayed with faith in Jesus, bears fruit: it liberates the power of God in the life of the one who prays and the one for whom it intercedes. Prayers of Power II is another volume of prayers. Like the others,it is intended to lead readers to an ever more profound personal experience of the merciful love of God through prayer. A collection of novenas, litanies, devotions and prayers of the Saints. We have included new prayers as well as the more traditional devotions of the Apostolic Roman Catholic Church.